Brad Jones Racing has confirmed the signing of young gun Todd Hazelwood as part of a rejuvenated Pirtek Enduro Cup line-up. 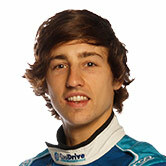 Hazelwood, 21, will make his Pirtek Enduro Cup debut alongside Tim Blanchard in the squad’s #21 CoolDrive entry, while Macauley Jones switches to Nick Percat’s #8 Holden. Confirmation of the pairings completes BJR’s enduro puzzle, with Ash Walsh returning to Tim Slade’s #14 Commodore under his two-year deal with the squad. The changes leave veteran Andrew Jones – the son of team co-owner Kim and nephew of Brad – off the Bathurst grid for the first time since his debut in 2002. The 36-year-old had been a co-driver at BJR for the last eight seasons, but has stepped down following a crash at Bathurst last year and a rough start to his 2017 Super2 season. BJR previewed its new line-up at Winton last month, where Hazelwood and Macauley Jones drove their enduro mounts in a wet Friday practice session. Hazelwood’s big break comes during his fourth Super2 season and will follow a wildcard appearance in the main game with Matt Stone Racing at Ipswich in August. “I’m looking forward to the challenge and seeing what Tim and I can achieve together,” said Hazelwood, who was at Hidden Valley last weekend with the CoolDrive squad. “Tim has a great team around him at Brad Jones Racing and after working alongside the crew at Winton I can see myself fitting in really well and getting the most out of myself in the car. “Although I have only driven the CoolDrive Commodore in the wet around Winton, I felt really comfortable and cannot wait to do some dry running soon. 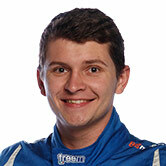 “Being my first endurance campaign I will be learning at a great rate and taking in as much as I can to assist Tim. Andrew Jones confirmed that he’ll continue in the Super2 series for the remainder of the season despite not racing in the enduros. 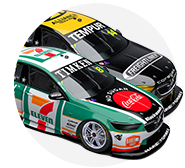 His 15 Bathurst 1000 starts yielded three top five finishes including a best of fourth alongside Cameron McConville at Garry Rogers Motorsport in 2005. 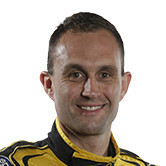 Jones has raced in 11 Bathurst 1000s as a BJR co-driver in a run interrupted only by his four years as a full-timer across GRM (2005), Tasman Motorsport (2006) and the Albury-based Jones squad (2007/2008). “I’ve achieved some great things in my Supercars career and worked with some fantastic people,” said the 2004 Super2 Series winner. “There are many fond memories from over the years; it’s now time for me to step back and give another guy a chance. “Todd Hazelwood is a great kid and works really hard to be where he is. It will be great to have him as a part of the team and see what he can do. Confirmation of BJR's enduro line-up leaves Lucas Dumbrell Motorsport as the only team yet to firm up its pairings ahead of the September 15-17 Sandown 500.